In the race for cleanest car bragging rights, Ford is in the thick of the fight. Currently, it is offering three hybrid models, two of which are plug-ins: the C-Max and Fusion Energi. 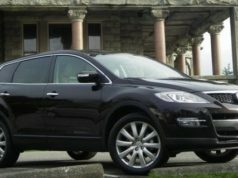 The latter is the first gasoline/hybrid/plug-in sedan ever offered by the company, and delivers an impressive 4.3 L /100 km in town and 4.7 L /100 km on the highway, according to Natural Resources Canada’s 2013 fuel consumption guide. These are among the best numbers in the industry, topped only by the Toyota Prius. And it’s thanks in large part to James Atkinson, who figured out – back in 1882, mind you – that if you leave the intake valves open a little longer than usual in a four stroke engine, you get a cleaner combustion process and greater thermal efficiency. At the time, Atkinson was apparently trying to get around patents held by the Otto internal combustion engine, but his theories seem to be as valid today as they were 130 years ago. Ford, GM, Hyundai, and Toyota – among others – have enthusiastically embraced Atkinson technology and the result is the thriftiest cars ever built. Anyway, The Fusion Energi also has an electric motor that is fed by lithium-ion batteries, and it can be plugged in to any 120-volt household wall socket to charge things up. This latter process is accomplished via a trunk-stored plug-in attached to about eight metres of power cord. It takes around eight hours to bring it up from “empty” to a full charge and the plug-in portal is even illuminated by cute little LED lights. On pure electric power, you can go maybe 35 kilometres and drive at speeds up to about 135 km/h before the engine cuts in. For what it’s worth, this is when the Fusion Energi is at its best. Torque is readily available, and the car keeps up with traffic, no problem. All that changes when Mr. Atkinson’s brainchild comes into play. Efficient though it maybe, the 2.0 litre four cylinder engine propelling the Fusion Energi is simply not robust enough to keep things interesting. Especially in tandem with the CVT that is the only choice with this car. If your number one goal is to drive a clean-burning, fuel-efficient four door sedan above all else, the Fusion Energi may be the one for you, but if you like a little oomph once in awhile, and actually want to keep up with traffic, stay away. During my time with this car, I actually got out-accelerated by a three-year-old Toyota Yaris at a downtown stop-light. And there were three people in it. Which kind of defeats the purpose, it seems to me. Yes, this car has fantastic fuel economy….if you drive like there’s an egg under your right foot. But if you drive at the same pace as those around you, that goes out the window. Ditto if you use any of the various accessories….with the a/c running, for example, your fuel economy is directly affected. Might as well get my other complaints out of the way now. Because of the battery pack and hybrid gear, the trunk in the Energi is severely compromised….in a word, it’s really small (453 litres), and access is further hampered by an uncooperative lid that doesn’t open up far enough. More than once, I banged my head on it while trying to stow the plug-in cable. This is also a major hassle: trying to properly re-squeeze the cable/plug-in into its little compartment under the trunk floor. More trouble than it’s worth and most owners, I suspect, will either leave the cable out of the car, or just throw it into the trunk. As well, this version of the Energi – the Titanium model – is absolutely loaded with electronic gizmos. 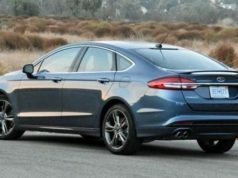 For example, it has Ford’s version of adaptive cruise control, a rear-view camera, a “lane keeping system”, a parking assist program, and blind spot information technology. This is in addition to MyTouch, an EcoGuide fuel monitor, Sync/Bluetooth, and, if you want it, a mobile app that allows you to monitor the charging of the battery pack. In the car or out of it, the Fusion Energi is a busy place and owning one of these vehicles would be a full-time commitment. Which leads me to another complaint: the accursed instrument panel display monitor. In order to do simple things like, oh, adjust the climate control system, change radio stations, or turn on/off the heated seats, you have to get into the screen and sometimes, it’s hard to see and uncooperative. I’m also hearing through the grapevine that this is a major source of problems with new cars: a centre control touch-screen monitor that wears out long before its time. Not to mention being highly distractive. No argument the Fusion Energi is environmentally responsible, and Ford’s trying to do the right thing here. But, it’s at the expense of driveability, because when the dust settles, this car is…well, boring to drive and ‘way too much work. Not to mention being slower than a Toyota Yaris. Fuel Economy: 4.3 litres per 100 kilometres city / 4.7 highway. Regular fuel. 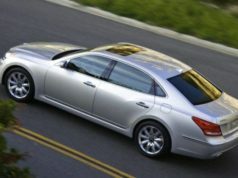 Alternatives: Toyota Camry Hybrid, Toyota Prius, Honda Insight, VW Jetta Hybrid, Hyundai Sonata Hybrid, Honda Civic Hybrid, Chevrolet Volt, Kia Optima Hybrid.